Prepping Race Blocks For Use With Nitrous Is One Of The True "Specialties Of The House" Here. After All, We've Been Doing It Since The Mid '70's!!! We Combine The Parts That We Know You Need With The Right Finishes And Clearances That Are Required To Let Your Engine Survive The Rigors Of Nitrous Racing. 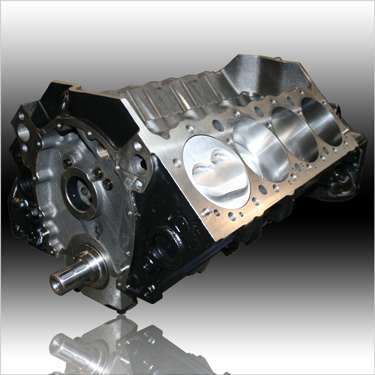 Pick The Level Of Components That You Want And Let Us Build You A Short Block That Will Be A Solid Foundation For Your Next N20 Engine. Includes: Custom Nitrous Spec 7/4 Swap Steel Billet Roller Cam, Rollmaster Billet Timing Set w/IWIS Chain & Torrington Bearing, Official GM Performance Chrome Timing Cover, Cam Button And ARP Cam Bolts. Camshaft Installed And Degreed, Cam Button Shimmed To Installed Front Cover. Includes: Custom Nitrous Spec 7/4 Swap Steel Billet Roller Cam, Rollmaster Billet Timing Set w/IWIS Chain & Torrington Bearing, Cam Button & ARP Cam Bolts, Chrome GM Timing Cover and Tavia Pointer, SFI Harmonic Balancer, Moroso Custom Stroker Oil Pan w/Windage Tray, Moroso Oil Pump & Severe Duty Tig-Welded Pick-Up. All Gaskets, Seals and Hardware. Completely Assembled With Camshaft Degreed And TDC Verified And Set.